This card is made by a sketch from Cards Patterns. I was inspired by the beautiful DCWV papers "Garden Party". I finally found a good place for one of my favorite vintage buttons embellishing a Prima flower. The other two paper flowers are made by hand using a tutorial from the Classroom blog. I stiched on a cotton lace. The stamp is from Inkadinkado. Love your vintage card. 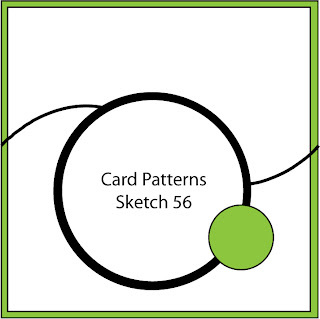 Thanks for joining us this week at Card Patterns.